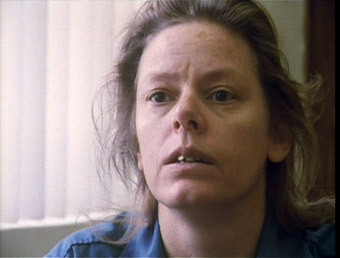 Aileen Wuornos was made famous in film by the movie Monster starring Charlize Theron. 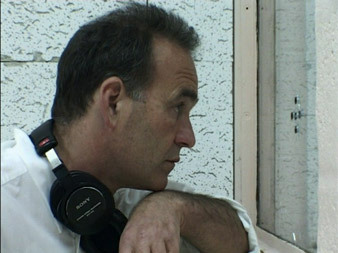 Nick Broomfield could have given her the chance to get across her side of the story in the two documentaries he produced on the infamous serial killer. Unfortunately, they never really live up to the potential and promise of the titles. The first movie was made before she became a Hollywood character and it is unclear what the purpose of Broomfield’s first documentary is. His end-game is to interview Aileen but the way he goes about it seems quite ridiculous and amateur. Why Broomfield would think watching him being toyed with by two “associates” of Wuornos while she awaits trial, refusing to speak to him, would be entertaining is anyone’s guess. Selling a Serial Killer at least lives up to the title, showcasing how people can take advantage of the actions of an infamous person. The “lawyer” who represents Aileen and her “adoptive Mother” both come off poor from the documentary although not as poor as Broomfield who seems naive for ever trusting these individuals. This becomes more laughable when he actually gets his interview with Aileen and it becomes a truncated, anti-climax. There is much more focus on the individuals who have taken advantage of the situation than on Aileen herself. What it does highlight is the unhinged psyche of the killer, something else Broomfield seems heavily under-prepared for. At least the second documentary, filmed just over ten years after the first, gets some real face-time with Aileen. It makes for a much more interesting documentary but only to see the scary person Aileen Wuornos had become. The conversations, her ranting and bizarre conspiracy theories and paranoia will send a chill but again, no real light feels like it has been shed on the person she is. Aside from the fact that Broomfield is requested for a court appearance and that Aileen seems to take a shine to him, you wonder what he was hoping to achieve from the film. In fact, like with Biggie and Tupac, Broomfield is the weakest link here. There is an interesting story but Broomfield always seems much more concerned with his journey to the truth or facts rather than what that truth actually is. The issue with that is all it does is show how bad Broomfield seems to be at this, amateur and lost when he films these documentaries. Overall, both of Nick Broomfield’s Aileen Wuornos documentaries never really do the story the justice it deserves. They are made up of lucky moments, poor research, weird decisions and worst of all, a seemingly inept creator. The moments with Aileen directly are enlightening and interesting but not enough to make the movie’s worth their running time. Nice write up, I’ve seen the slightly better one! Very sad story. Disappointing. I’ve read a few poor reviews! Yeah, unfortunately. If you could just watch the interviews, may be worth a look. Next Next post: Can an actor alone convince you to watch a movie?